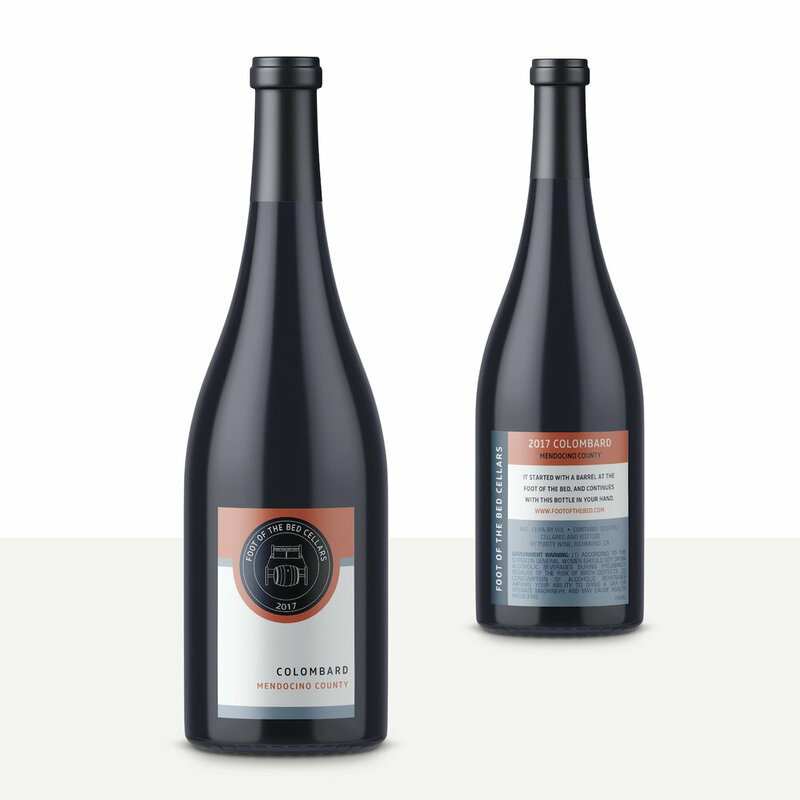 Although Colombard certainly represents one of the more esoteric grape varieties we have released, there are some significant plantings around the globe. The most important spot for its cultivation is the Armagnac region of southwest France. Here it is one of several grapes used to create the local brandy that shares a name with the region. Delicious Armagnacs are widely available in the United States, but are often overshadowed in restaurants and retail shops by Armagnac’s more polished neighbor, Cognac. The brandies from Armagnac producers such as Château de Briat and Cles des Ducs spend decades ageing in barrels developing notes of roasted nuts, toast, and baking spices. I definitely recommend picking up a bottle if you see it around. In the meantime, we hope you enjoy this Colombard -- fresh, fruity, and incredibly easy to drink. Winemaker Yannick Rousseau grew up in Gascony, the region from which Armagnac hails. He drank his first glass of wine with his grandfather when we was just five years old. Several years later he graduated from the University of Toulouse where he studied winemaking. While still a student, Yannick made his first wine, a Colombard. Upon moving to Napa Valley after marrying his Texas-born wife Susan, he immediately began looking for vineyards growing his favorite grape. Fortunately, Colombard has played an important role in the California wine industry and was at one time the state’s most grown white grape. Although the grapes for this wine come from Mendocino, Yannick’s winery is in Napa. When the firestorm of 2017 broke out, he had to evacuate for a week. During that time, the juice stayed in contact with some of the skins which added texture to the wine. This wine represents a bright spot coming out of terrible tragedy. It features notes of lime blossom and honeydew melon as well as a long, refreshing finish. Although Port wine didn’t become popular until the late 1700’s, winemaking in Portugal goes back several thousand years. As various styles evolved, the Portuguese remained committed to cultivating their numerous native grapes. In Portugal, grape varieties are called castas and Tinta Cão is one of the most important, especially in the production of Port, the famed fortified wine from the Douro Valley. The name Tinta Cão translates to “red dog,” aptly named since our newest employee at Foot of the Bed, Bubba, has a red hue to his golden fur. Although no one is exactly sure how this name came about, the grape has thick skins that can protect it from sunburn and also add a deep red color as well as some noticeable tannins to the wine. The Mokelumne River American Viticultural Area is a subregion of the increasingly talked about Lodi AVA. It is located in the far western part of the growing district and is thus subject to more cool air from The Delta than any of the other six subregions of Lodi. Still, this area gets extremely hot during the summer growing season making it the perfect place to grow Portuguese grape varieties that can thrive in the heat. St. Jorge Winery owner Vern J. Vierra grew up making wine with his grandfather. Looking to honor his Portuguese ancestry, Vierra opened St. Jorge in 2009. Located in the tiny town of Acampo, the winery presents itself as a grand Mediterranean villa. The surrounding vineyards are planted solely with the native grapes of Portugal. While many end up in blends, some barrels are kept separate. This full-bodied red is filled with notes of purple plum and Herbs de Provence, making it the perfect match for lamb chops or even just a juicy burger.